We recognize the fact that the restaurant & foodservice industry is a large consumer of natural resources. As a concerned organization, we strive to consistently reduce the amount of waste we generate and contribute to environmental initiatives to reduce our ecological footprint. At MPP, we’ve always been committed to reducing our impact on the environment. We are a Forest Stewardship Council® accredited producer. Only with FSC® verification can you be assured your paper has been harvested in a way that respects the rights of indigenous peoples, prohibits conversion of natural forests, prohibits use of hazardous pesticides and prohibits the cultivation of genetically modified trees. In addition, we are annually audited to ensure complete compliance with their extensive procedures. 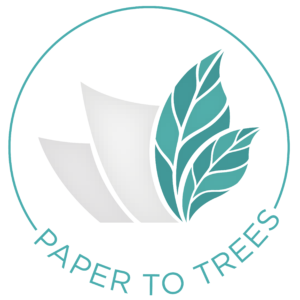 We’re proud to announce our new sustainability initiative, Paper To Trees, in an ongoing effort to one-up our environmental impact. 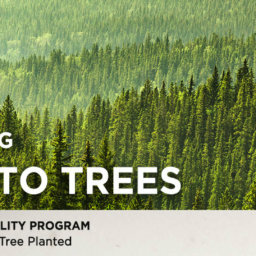 Our partnership with One Tree Planted, a non-profit that effectively and sustainably repopulates forests around the world, allows MPP – and all of our clients – to contribute to an integral step in off-setting our global carbon footprint. We consider the paper we use to be ‘borrowed’ from the Earth, so we ensure that it gets returned in the form of new trees. MPP recycles 99% of all paper waste generated in our business operations. From comprehensive programs to composting, we take great care in ensuring and executing appropriate waste-reduction measures. We prolong material life spans, reuse everything from paper to process-water to rags, and recycle a growing list of production elements.